Where there is no reason to refer to its contents of the report of the PA, there is even less reason to refer to the variation between the report of the PA and the director, the bench said. The Supreme Court, in Delhi Administration vs. Vidya Gupta, has held that storing of adulterated food, even for the purpose of making some other food which is sold, is an offence. 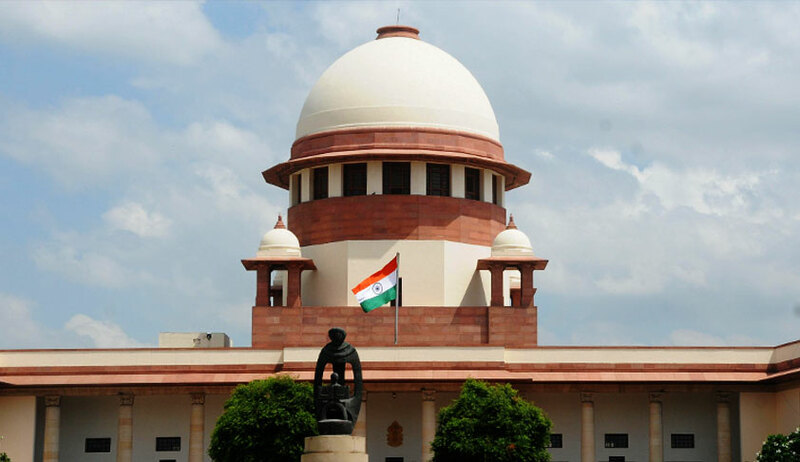 A bench of Justice SA Bobde and Justice L Nageswara Rao also held that the court, while trying an offence under the Food Adulteration Act, needs to consider the contents of the certificate of the director only and it need not refer to the variation between the report of the public analyst and the director. The Supreme Court was considering an appeal filed by the Delhi Administration against the acquittal of a vendor accused of storing adulterated ghee. The acquittal by the Sessions court (that set aside conviction) was upheld by the high court on two grounds. One was that the sample of ghee that was taken was itself not meant for sale but it was meant to be used merely as an ingredient in the preparation of sweets which in turn were meant for sale, and therefore no offence is made out. The high court also noted that there was a discrepancy between the report of public analyst (PA) and that of the director with respect to the BR reading. The high court observed that PA had recorded the BR reading as 52.7, whereas the director had recorded the BR reading as 53.1. and variation was 0.76% i.e., more than 0.3%, and therefore the sample cannot be considered as representative in nature as held in State (Delhi Administration) v. Ram Singh and Another. With regard to first reason, the bench of Justice observed that the explanation to the section 7 of the Food Adulteration Act clearly lays down that if a person stores any adulterated food for the purpose of manufacturing from it any article of food for sale, he shall be deemed to store adulterated food. The court also dismissed the accused’s contention relying on apex court order in Municipal Corporation of Delhi v. Laxmi Narain Tandon, wherein it was observed that the storing of an adulterated article of food not meant for sale would not constitute an offence. The court said the judgment was delivered before the Act was amended to introduce the deeming fiction that a person shall be deemed to store any adulterated food, even if he stores such food for manufacturing from it any article for sale. With regard to other contentions based on variance of reports of PA and director, the bench said that the Act provides that the certificate of the director shall supersede the report of the PA and such certificate final and conclusive evidence. The court said it thus ‘puts it beyond any shadow of doubt that the report of the PA loses any significance in the proceedings as a piece of evidence’. The court also held that the Delhi High Court judgments in Kanshi Nath v. State and State v. Mahender Kumar & Ors. which held that if in the comparison of the reports of the PA and the director, vast variations are found, then the samples are not representative, is improper, is not a good law. The court, though set aside the acquittal, sentenced the accused to period already undergone, taking into account that his business has closed down since and he is now about 70 years old.